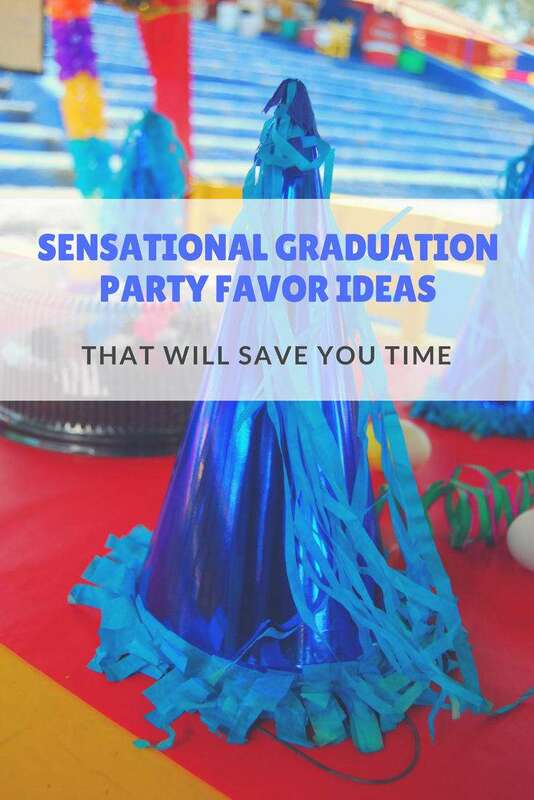 It’s graduation season and you need help getting the party ready to go right? 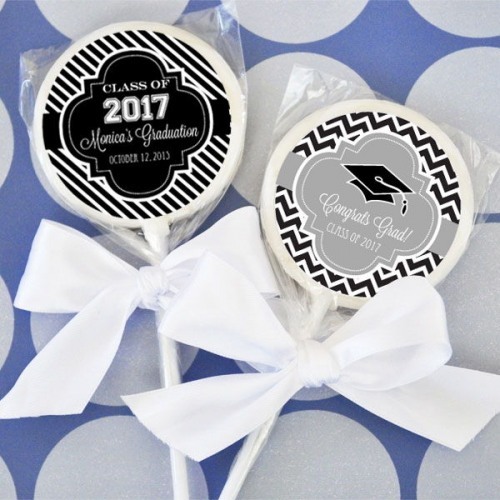 I have some time-saving graduation party favor ideas you’re going to love. You want everything to look perfect for your graduate’s big celebration party. 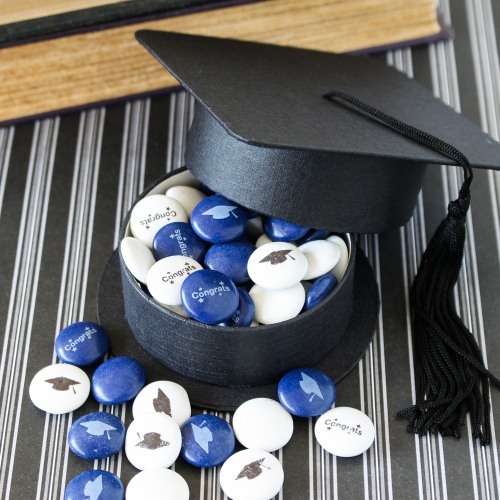 Why not have the graduation party favors do some of the work for you? I can’t wait till you see the graduation party favor ideas I have for you! There are two kinds of party favors. 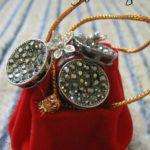 There are small gifts you give to each of the guests, which are a great idea by the way. And there are party favors that are yummy for the tummy! My guess is that your graduate will love the yummy ones. I know I would! Now don’t panic and think I’m suggesting that you make all sorts of pretty treats for party favors. That’s actually where I can save you some time. 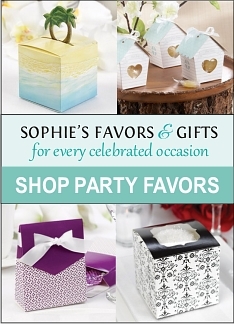 The graduation party guests will love these party favors from Beau Coup. They’re unique, fun and yummy! 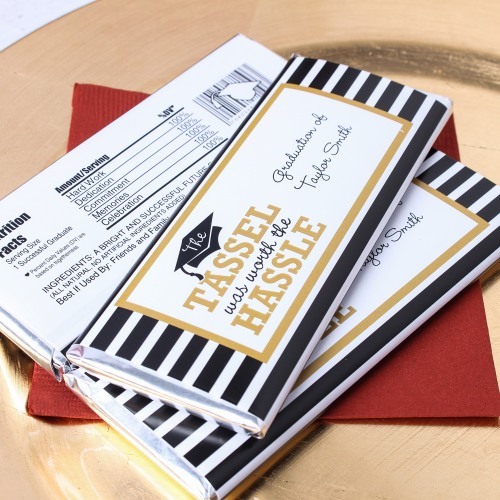 This may be from 2014, but it’s one of my favorite go-to party snacks or favors. Try using school colors too. And don’t forget the pretzel bags! Wilton is the name in cake decorating and party supplies. 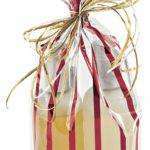 These 4 x 6 clear bags are great for wrapping cake pops, candy or other small treats. They come 100 to a package and the silver twist ties are included. Making your own goodies for the graduation party? These work perfect for 2 biscotti, 2-4 small cookies or 2 large cookies. 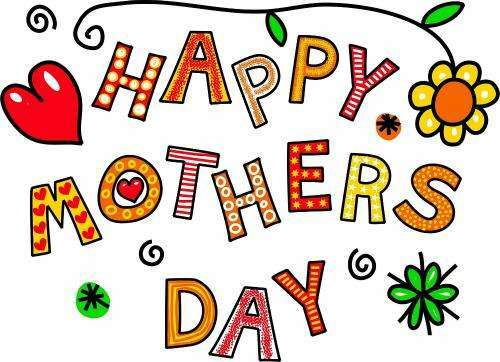 Or use them for small gifts, like lip balms, etc. Did someone say chocolate or did I imagine it? Everyone will want to know where you got these personalized chocolate covered oreos! 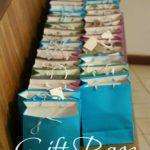 These are the graduation party favor ideas I wanted you to see. Talk about time-saving! They’re sold by the dozen and come individually wrapped. Perfect for a table top party favor display or goodie bags. Yum! OMG ~ brownies! Are these the most fabulous favors you’ve ever seen? The graduates will flip when they see these. The fresh baked, fudge brownies from Veronica’s Treats are glazed in white chocolate flavored icing and topped with your custom designs! They’re also sold by the dozen and individually wrapped. 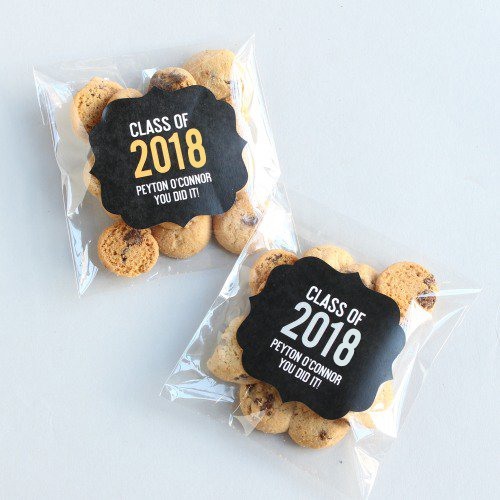 Those graduating cookie monsters will love these sugar cookies. Also sold by the dozen, they come individually wrapped in cello bags. Look for the shortbread cookies too. At the time of this writing, those were sold out. I confess. MyCupcakeAddiction is my secret cupcake addiction. Be sure to subscribe. I run to see every new video she puts out. These cake pops are easy peasy! The video is also from a little while back, but it’s still one of my favorites. 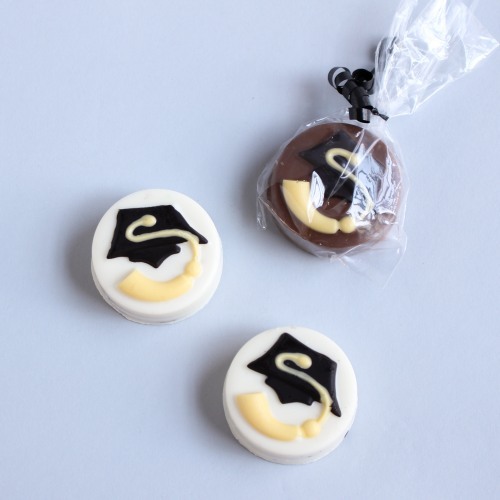 Adorable cake pops for the graduation party. Aren’t these cute? They’re sold by the dozen and you can choose from 3 cake flavors, chocolate, vanilla, and red velvet. You choose from 10 drizzle colors. The cake pops are made from moist baked cake and a cream cheese frosting. YUM! They measure 1.25″ in diameter. You owe it to yourself to go see the enormous selection & combinations of these cake pops. 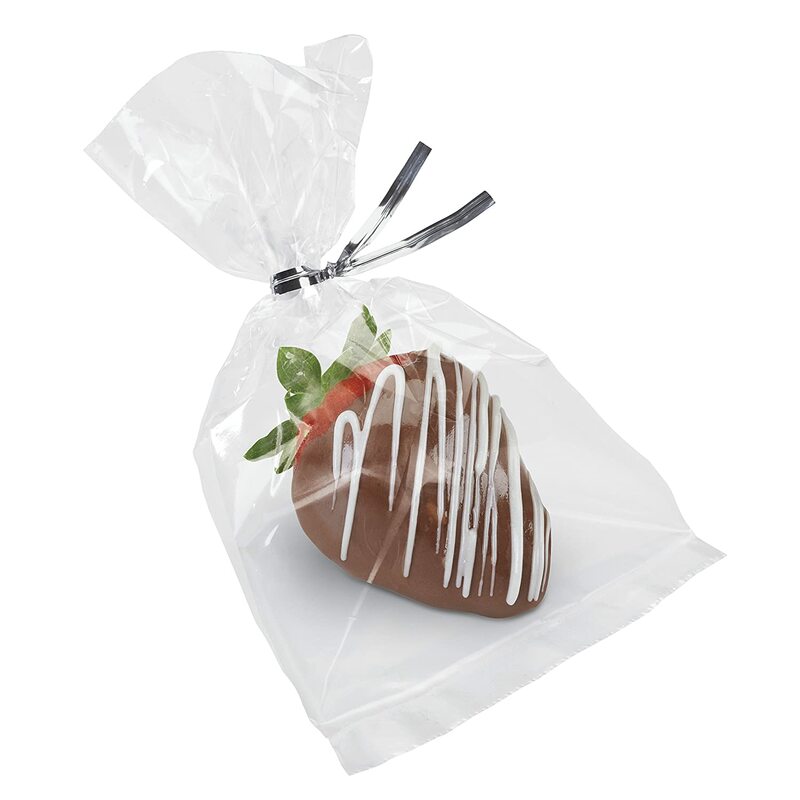 These cute little party favor bags are great for candy, cookies or a small gift. 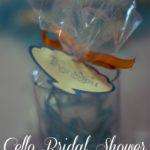 You get 40 clear ziplock favor bags and 36 personalized bag toppers. The contents are not included; fill with your choice of party favor. You have to assemble these. It’s fun to hunt for bargains on eBay, because they’re so easy to find! Just look at all these graduation party favors I found.